Magnificent and proud, with highly arched necks and strong, teacup-shaped hooves, the wild horses living in the Ghost Forest are a far cry from their domestic counterparts. 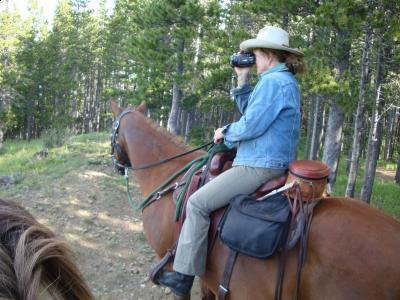 That’s what struck wildlife artist and conservationist Maureen Enns, who has spent years studying wild horses, often on the back of her domestic mare. There’s also a marked different in their behaviour, says Enns, noting the wild horses tend to carry themselves differently, almost with a sense of pride. It’s no surprise these characteristics have been so tightly ingrained, given they’ve been living this kind of existence in the Ghost Forest for close to 100 years, which Enns believes is unique on the planet.